The Celebrity's details are based on the Solar Horoscope (Surya Kundli) with the help of Birth date and place, as the Birth time is not available. 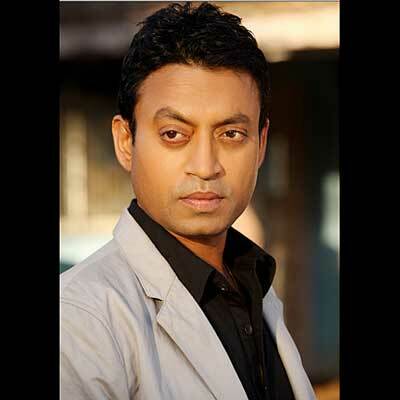 Irrfan Khan is born with Sun and Mercury in Sagittarius sign. Jupiter is exalted and retrograde in his chart. Mercury is placed in detrimental sign. Venus – the significator of arts, is aspected by retrograde and exalted Jupiter in his chart. Rahu will be transiting over his natal Mars till January 2016 and Ketu will be transiting over his natal Saturn till then. Transiting Jupiter will be aspecting his natal Sun, Mercury and Rahu after 14th July 2015. Transiting Saturn will be giving the third house aspect to his natal Venus. Ganesha feels that during the year ahead, Irrfan Khan may have some unexpected expenses. He will also have to plan his investments carefully. Chances of getting due returns of the capital invested, are lesser. After 14th July 2015, transiting Jupiter will be aspecting the 5th house of performance in the Surya Kundli. This factor indicates that he will be doing good movies and will earn more fame till 11th August 2016. Also, his creativity will get an additional boost. Due to the Jupiter's positive effect, Irrfan's social image and honour may get enhanced and his fans may also get to see him more on T.V. in some shows and interviews. He will also be able to enjoy leisure time with family members during the year ahead. The Films that he signs between 14th July 2015 and 11th August 2016 will be highly appreciated. Moreover, currently, in Khan's chart, Saturn- who happens to be the Lord of the 2nd House, the house of finances and wealth is transiting through the 12th House, which indicates that he may even earn some wealth from abroad. In short, the year ahead looks promising and bright for Irrfan's career as an actor. Ganesha wishes good luck and a marvellous future ahead to Irrfan Khan.